This is the time of year where parties are being planned and hosted on a weekly basis. As the holidays draw nearer, people are more likely to attend these events. It doesn’t matter whether these are associated with business or family. This is one of the reasons why proper planning is important because the attendance of your party is probably going to be well-attended. The perfect cocktail party involves having not only the right beverages but the right menu, as well. Once you have selected the venue and the decorations, you will need to accommodate your guests. it is possible to plan a simple get together for a small group for these parties. Others of this type will be quite elaborate and need to incorporate a larger group of people. This is one of the good reasons to request an RSVP for your party. 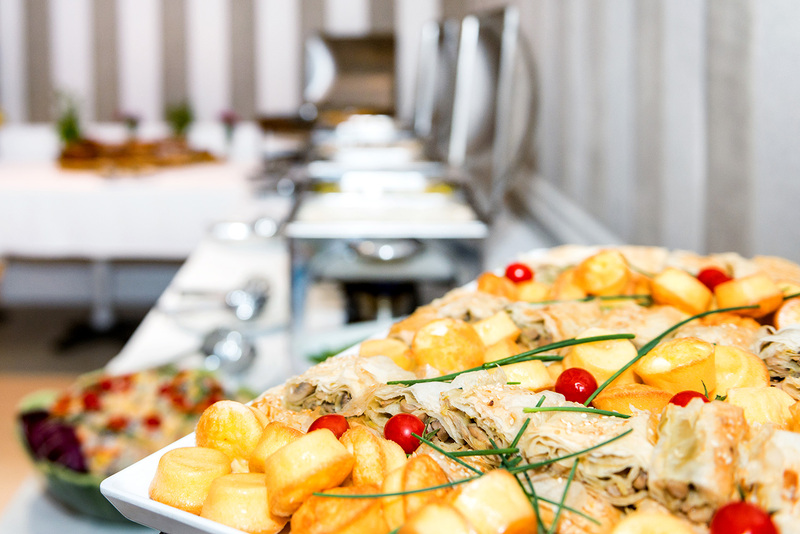 If you’re putting together a last minute event consider kosher catering Miami services. These are professionals when it comes to tailoring a delicious menu. Let’s face it, the food and drinks that you serve will define this party. Working with experienced caterers certainly takes the hassle out of the planning process. Now all you have to focus on is your décor, arrangements, and your guests. Miami is one of the country’s most popular destinations all year and during the holidays. According to AAA, last year’s numbers for seasonal travel increased consistently. This was the ninth year in a row and 2018 is likely to follow suit. Many party planners will be challenged when it comes to choosing the right drinks. If your group is small it is not necessary to hire a bartender. Larger groups may require this sort of service, or at least someone skilled with preparing drinks. One option in this category is to simply have a full-bar option for your guests. this allows them to select their favorite beverages from the ones you have stocked for the party. If you are playing the bartender yourself, you might want to grab a mixology guide. These will not only talk you through the preparation process. They may give you new ideas when it comes to ingredients. Another option for drinks is to decide on 3 or 4 specialty drinks that you like and know how to make. these can be the night’s specialty and will reduce your cost for this portion of the party. Find creative names for your drinks to enhance the event. Even a small cocktail party can be tiring when you are doing everything yourself. It is not necessary to hire a hostess or wait staff if you have the right volunteers. Putting attendees to work can be fun and give you a well-deserved break. These are individuals who can participate in serving drinks and appetizers. They are also great for directing your guests to the festivities, catering sections, and the restroom. Don’t forget the help that you will require after the party is over. If this is a family event, it should be easier to get some assistance with the cleanup process. In these instances, before the end of the evening assign tasks to make the process smooth and easy. Those reserving party rooms and event space may not have to worry about this part of the planning. there is usually an included service associated with clearing and cleaning. You will discover that the Miami area caterers are great when it comes to menu development. They understand what is needed to accommodate groups of different sizes. Utilize their expertise for appetizers, finger foods, entrees, and desserts. It may be more convenient to take advantage of kosher venue rental miami locations. Families and groups don’t have to trouble themselves in finding the perfect place for the cocktail party. Vacationers and tourists unfamiliar with the area may struggle to locate budget-friendly sites. Once the venues are reserved party planners can put the finishing touches onto the event. This may be a theme party that needs harmonizing decorations. Party plates, napkins, and table arrangements can fit into this category. Family photos or those associated with businesses are terrific additions for decorating the setting of the venue. One thing that can easily enhance these parties is having entertainment. This could involve reserving a single musician or an entire band. It is important to consider whether the venue can accommodate this type of activity. Consulting with your caterer as it relates to placement of buffets or service areas is a good idea. You must also prepare to reserve your entertainment in advance even during slow times of the year. DJs are another option when it comes to entertaining your party guests. the pricing for these options usually depends on the number of hours you will need their services. It is possible to bargain shop for entertainment with a bit of research. The internet is a useful tool for finding the right acts for your party. You can visit websites to get a sample of their performance styles. This is helpful so that everyone can enjoy the entertainment that you hire. Southern Florida is popular because of its iconic beaches and landscapes. There is a lot for couples and families to do here. Many families schedule late vacations and holiday trips to this part of the state. This is an off-season opportunity to enjoy less crowded attractions. It is also a fantastic backdrop for parties and special occasions. This is another reason to fine-tune cocktail party menus with Kosher Catering South Florida. You will be able to customize your serving dishes by offering different types of foods. Premier catering companies will have diverse options for menus. They will also be able to accommodate large size dishes for your party guests. Kosher Miami Catering is the best place to go for great food that will meet your budget for this cocktail party.